Edited by deema, 27 March 2012 - 03:59 AM. Finally some productive use of Splinter! I have never been interested in placing those useless super hero images on my desktop but "Splinter Icon-ic Edition" has some usefulness in it. It'll be great if you'll completely transform Splinter into a productivity suite instead of just a decorative desktop program. Edited by M.Sudoku, 29 March 2012 - 01:08 AM. The EXACT same steps that I took when showing you the "comic" stuff is what was done here.not a single thing different. Edited by deema, 08 July 2013 - 01:48 AM. 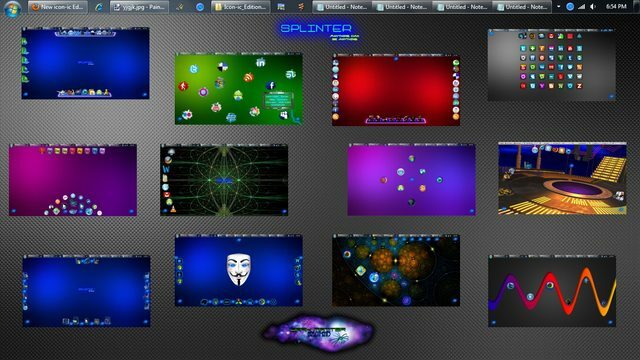 Icon-ic Edition Splinter, splinterface download link. I will help you with all questions and issues, some may find it very odd, at first. Edited by deema, 06 April 2012 - 09:47 PM. Edited by deema, 03 April 2012 - 08:41 PM. I must apologize to you, personally, for my initial reply. I, foolishly took offense at this part of your post " those useless super hero images". What I should have done was respect your opinion on the imagery used, as each has a right to have one. My mistake was in taking it as an overall criticism of Splinter, as a whole, which I realize was not your intent. No problem man. I was actually praising Spliter. I haven't installed it so don't know much about it but after looking at the iconic edition video the program seemed more useful than before. Updated vid. 90% "done' . will finish splinterface this afternoon. Edited by deema, 01 April 2012 - 04:12 PM. Looks really nice. I agree with M.Sudoku that the Icon-ic edition of Splinter looks better. Icon-ic Edition Splinter "Completed" Promo Vid. Splinterface download below (this one isnt complete with all hotlinks on splicons. I am uploading a separate one with completed hotlinks, later). Edited by deema, 03 April 2012 - 08:43 PM. 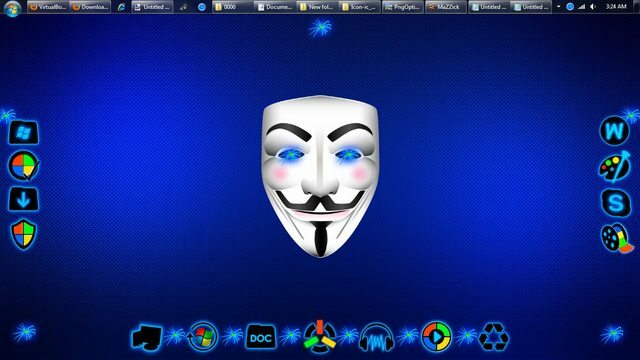 This vid is a tutorial demonstrating how to create the Vendetta page at the end of the promo. I realize that it is a bit long but if you watch it you will be able to create the same type of spli--page, it is very easy to do. 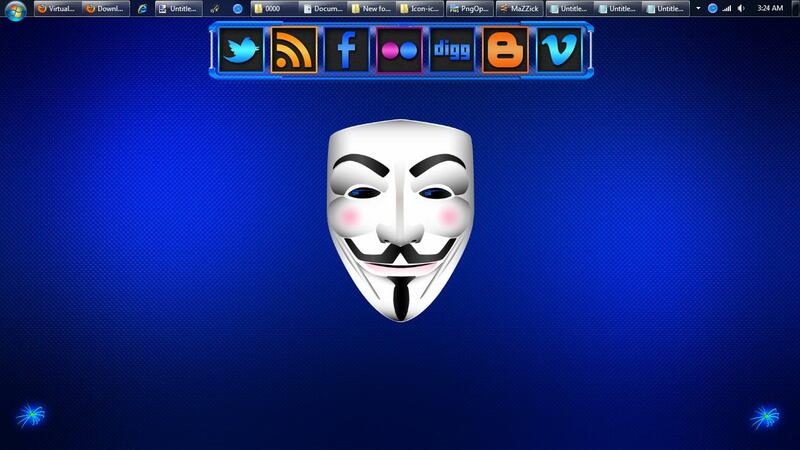 New Icon-ic Edition Menu Page. I will have to shrink the thumbs as new pages are added. Edited by deema, 04 April 2012 - 02:01 AM. Edited by deema, 08 April 2012 - 10:30 AM. Haha, great job on the Mario desktop. Thanks Surb, nice to hear. I hope that "Addition Edition" will blow some minds. 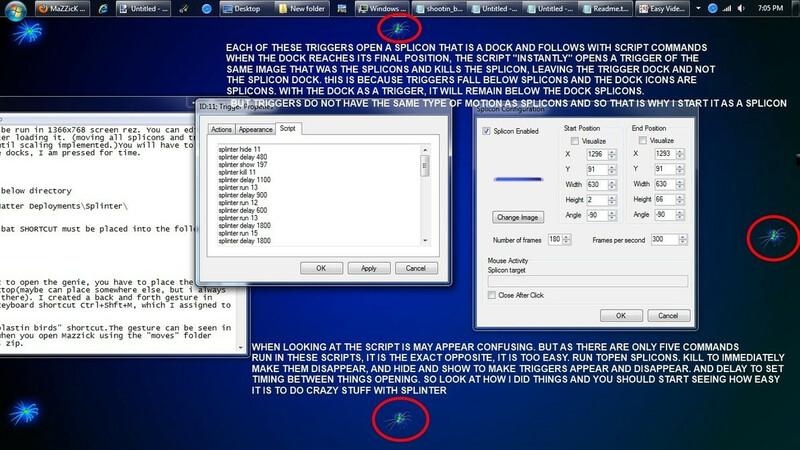 Named such as this splinterface's pages are basically a "and in addition to using Splinter like "that", you can do "this". I will attempt to show that since splinterfaces are created by how the user visually places and sets images, it literally means that anything you can imagine in your head can be turned into a utilitarian desktop interface.